Responding to worries that school is not preparing students for the jobs of the future, there's been a concerted effort lately to emphasize the importance of learning STEM subjects. Congressman Mike Honda from California recently introduced two pieces of legislation to Congress focusing on STEM: One would create an office of STEM education to help coordinate between schools, while simultaneously creating a research arm to fund development of education technology; the other bill would offer in-house STEM coaches to schools, helping them integrate concepts into the curriculum. Some schools are already integrating STEM throughout their curriculum. A team of eighth graders at Hampstead Academy, one of 10 winners of the Verizon Innovative App Challenge, for example designed Chow Checker, an app to help people identify ingredients they are allergic to in food. 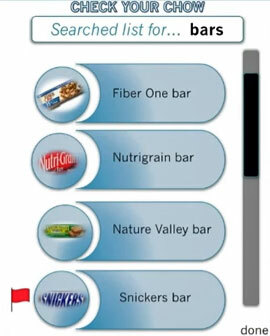 The app allows users to either scan the bar code on a food item or use the search bar to find an item. Any ingredients the user has an allergy to shows up in red. The app also has a news feed and a personal profile, giving it the feel of a social networking site, a feature that also sets it apart from other food allergy apps. The news feed gives people who suffer from food allergies a way to share their personal experiences with one another, said student Sarah Miller-Bartley. As part of their school work, the team conducted research on existing products in their market, and determined that, although there are a few similar apps, many had poor user reviews and crashed a lot. Their conclusion: They were confident they could design something better. Now the students will have the chance to put their design into practice, working with MIT Media Lab’s App Inventor Training Corps to write the code and develop their product. The MIT specialists will visit Hampstead for a day and a half of consultation, then the students will be on their own, left to do the heavy lifting of making the app a reality. “The students are owning this start to finish,” said Christina DiMicelli, the technology integration specialist at Hampstead Academy. Hampstead Academy is a small private school focusing on “whole child” education, and many of the school projects are cross-curricular and include technology. But this project felt more personal to the students. “The app challenge felt a little different because we all really love technology and we were really in our element,” Fonseca said. One of the most challenging parts of this project was working together, students said -- a true reflection of what happens in the real world. Students Ashvi Patel and Ethan Calandra said that coming up with a cohesive idea that satisfied every team member was hard, especially when they had to let some ideas go. Most of the students enjoyed designing the app itself and thinking about how the end user would approach it. A few students even think they might like to continue to study app development. “Now that I’ve seen the final product I am more interested in pursuing it,” said Alex Mielens who had studied some code before, but found it boring when it wasn’t attached to a specific goal. The Hampstead team developed the project as part of social studies class, organized by teacher, Chris Sousa, who finds it perfectly natural to incorporate STEM into his class. “When you can start applying STEM to social problems that fits right into social studies,” Sousa said. Chow Checker will be available for download on Google Play this summer.